There is a superb show on History called Vikings. It has everything that you could possibly want from a Viking show - and a Skarsgard to boot! 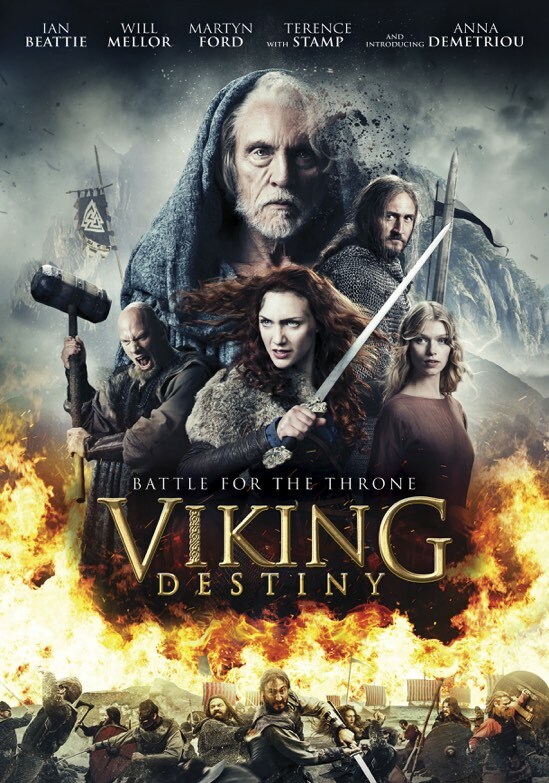 Sadly, the 91 minutes of Viking Destiny misses the boat on pretty much everything that is critical to a great Viking story, and there's no Skarsgard anywhere near the movie. The finished product is a bit of a bummer because from all appearances, Viking Destiny should be a wild hit. It has murder, intrigue, Vikings, a progressive female protagonist, the Norse god Odin, did I mention Vikings? The story revolves around a Viking princess who is framed for the murder of her father, the king. She flees her land and spends the time in exile learning from Odin and gaining experience and wisdom of fighting that she will need to win back her throne. The big name associated with the film and the only reason that you're seeing this movie reach home entertainment is Terence Stamp. The venerable actor has been in countless amazing films, but sadly this is not one of them. It makes you wonder if he owed the producers a favor or they had kidnapped his soul to get him to sign on to the project. It's not that Stamp's performance is egregiously bad or even slightly offensive, on his best day as Odin he would still be compared to Sir Anthony Hopkins. The latter has portrayed the Norse god on the silver screen a couple of times for the Marvel Cinematic Universe and he has established a pretty high bar to reach, even if the Thor films aren't the best of the bunch (Ragnarok notwithstanding). Still Terence Stamp's performance is game and he is clearly the highlight of the movie, even if it probably wouldn't make his personal top 10 performances. The problem isn't his performance but rather that we live in a post-Game of Thrones world and that has understandably raised the standards a bit. By contrast, the action sequences in Viking Destiny seem forced and lacking in any real emotion. As a non-partial observer, the scenes don't adequately sway us to one side or the other. If there are no stakes, then where are the real consequences that would have gone a long way in forcing me to buy into the movie? I would say that it would be a cardinal sin to have boring action sequences in a Viking movie, but the interstitial dramatic scenes are so forced and wooden that they almost eclipse the action scenes for their ineptitude. The logline had such promise, but the wind is literally let out of the sails in the first 30 minutes and it becomes a slog to actually make it to the end. This is rather unfortunate because relative newcomer Anna Demetriou is more than competent as Princess Helle. She is a willing participant and game to take her character out of her comfort zone, but sadly none of her co-stars seem up to the challenge. She makes a striking and strong female protagonist with her flowing red locks and I was immediately struck that she would make a perfect live-action version of Merida from Brave. Sadly though, the highlights of the film are few and far between. With so much other, better Viking content out there, including the aforementioned Vikings, I would be hard-pressed to recommend even wasting 91 minutes on this film. I expect bigger and brighter things from Anna Demetriou in the future, so perhaps this film will someday be a footnote on her resume that fans will seek out. Barring that, I suggest you simply let this one pass along in the middle of the night and see what the next horizon brings. 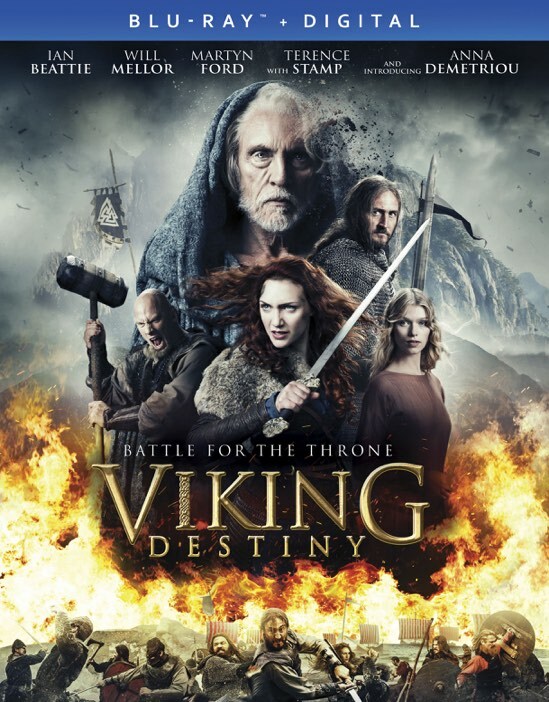 Viking Destiny is now available on Blu-ray and DVD.